Alright guys, everything is available. The lunchboxes are here! There are also new shades and re-stocked old shades. Beetlejuice and Loners & Rebels have been re-stocked! And Loners & Rebels is now available as a sleeveless hoodie! Oh and the Bounty Hunter hats are now is stock as well! GET 8-BIT!!!! 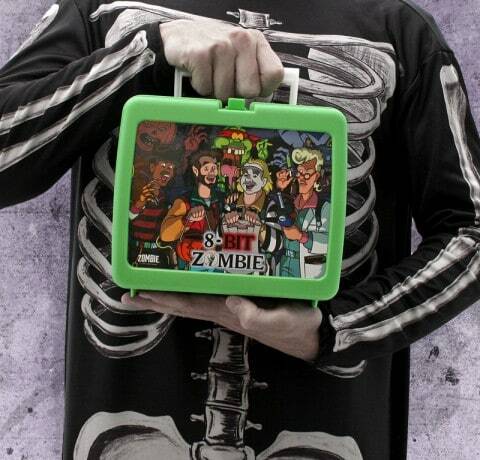 8-Bit Zombie has restocked and added a new lunchbox to the kids club. Which looks pretty swish. 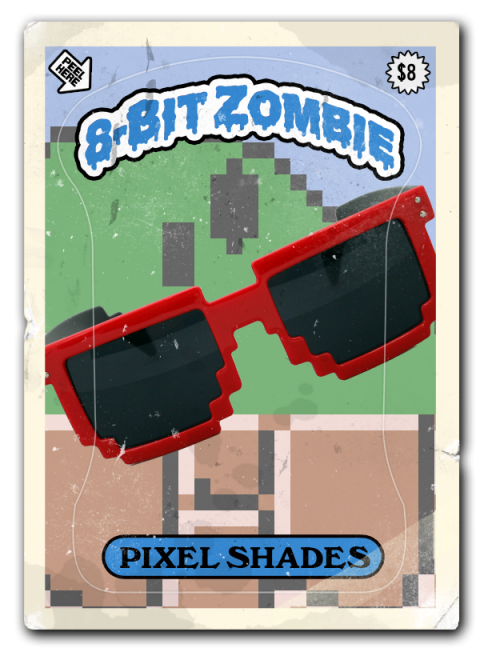 My personal favourite has got to be the pixel sunglasses though. If you want the lunchbox I’d advise getting in quick, last time round they sold out fast.